Mulayam Singh Yadav and Lalu Yadav have controlled the fate of the women reservation bill since 1996 when the proposal was first introduced. Opposition leader Sonia Gandhi's letter to the Prime Minister Narendra Modi nudging him to take advantage of his government's majority in parliament to give more power to women has drawn jeers from the BJP. 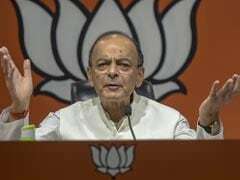 Instead of PM Modi, the party said, the Congress president should have directed her appeal at her two allies, Rashtriya Janata Dal's Lalu Yadav and Samajwadi Party's Mulayam Singh Yadav. "Rather than writing to the Prime Minister, Sonia Gandhi ought to have written or spoken to her alliance partners like Lalu Prasad and Mulayam Singh Yadav to find out why did they block the Women's Reservation Bill when the UPA was in power," BJP spokesperson G V L Narasimha Rao said, according to news agency Press Trust of India. The two leaders were among the most vocal critics of the women reservation bill that the Congress had pushed through the Rajya Sabha back in 2010. It was the closest that a constitutional amendment bill stipulating 33 per cent reservation for women in parliament and state assemblies had come to enactment. On one occasion, then Prime Minister Manmohan Singh and the Congress president had also tried to persuade them to back down. The Congress eventually pushed the quota bill out of sight to buy peace with the two Yadavs, whose support the UPA government needed in parliament. The Congress made a renewed bid to get the bill cleared in 2013 but backed out after the RJD and SP threatened to withdraw support. It lapsed after the end of the tenure of the last Lok Sabha. The Yadavs from Bihar and Uttar Pradesh have controlled the fate of the bill since 1996 when it was first introduced. But they were not the only ones against the bill. So were the Bahujan Samaj Party led by Mayawati and the Janata Dal (United) led by Sharad Yadav. Their central argument against the 33 per cent quota is that the reserved seats would be cornered by women from upper castes since there weren't many from the weaker sections in politics. To safeguard their interest, they demanded sub-quotas for women from weaker groups such as backward classes and minorities, a formula that major parties had rejected. The NDA government has not set a timeline to bring the quota bill to parliament. For three years, it has been telling parliament that "the issue involved needs careful consideration on the basis of consensus among all political parties before a bill for amendment in the Constitution is brought before parliament".